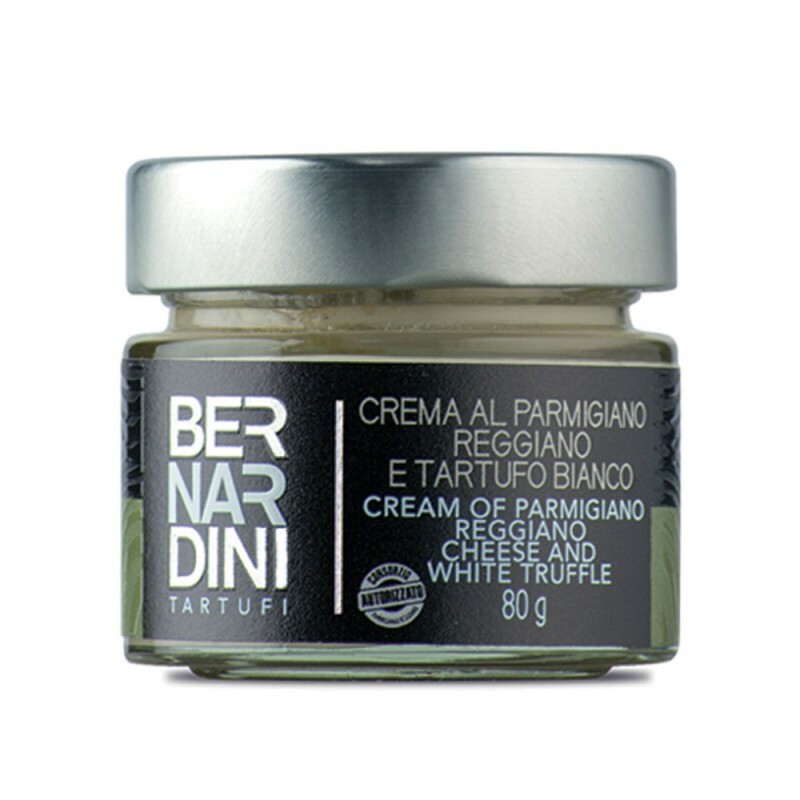 INGREDIENTS: fresh cream, cheese “ Parmigiano Reggiano PDO” 25%, milk, butter, cornstarch, white truffle ( Tuber magnatum Pico ) 3%, soy lecithin, extra vergin olive oil 1%, salt, natural flavor, flavor. Contains: Milk and soy. USEFULL INFORMATIONS: Ready to use. Add either plain butter or chicken stock, fresh cream to your liking. Avoid overheating lest the truffle aroma will fade. Use a condiment for first pasta courses: pasta and rice, vegetable pies, meats and warm crostini. TASTE: Delicate and balanced flavor, enriched by the tipical and salty taste of Parmigiano Reggiano cheese PDO. The typical white truffle flavor gives this product an extraordinary harmony. PRESERVATION: 36 Months room temperature. Store at room temperature far from direct light and heat sources. Once opened keep in the fridge at temperature 0/+4 C° and use within few days.